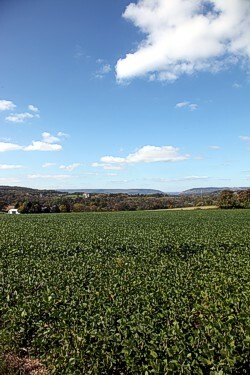 The Township has a full-time Planning Administrator on staff and with the assistance of the Lehigh Valley Planning Commission, oversees future land development throughout North Whitehall Township. The Planning Commission meets the 4th Tuesday of every month (as needed) at 7:30pm in the Township Meeting Room at 3256 Levans Road, Coplay (Ironton). The Planning Commission is an advisory board with eight voting members where Township residents are appointed by the Township Board to serve for a 4-year term. One of the tasks of the Planning Commission is developing a comprehensive plan for Township future planned growth. They then make recommendations to the Board of Supervisors on the adoption of the plan. In addition, land development and subdivision applications being brought before the Township need review before final approval by the Board of Supervisors. Reviewing and making recommendations to the Township Board regarding whether property owners’ applications for site plan, special land use, and other land use or development approvals meet the applicable standards and regulations contained in the Township’s zoning ordinance, as well as other applicable laws and ordinances. Periodically reviewing, and if necessary updating, the Township’s master comprehensive plan. Reviewing and making recommendations to the Township Board regarding proposed amendments to the Township’s zoning ordinance. In all situations presented to the Planning Commission, Commissioners are committed to following the proper procedure, protection of property rights, and applying the laws as noted above equally to all applicants. Recommendations of the Planning Commission must follow the standards and guidelines as outlined in the Zoning Ordinance and/or dictated by law. 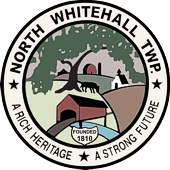 All Planning Commission meetings are public meetings where you can express your opinions and share your ideas on the growth of North Whitehall Township.